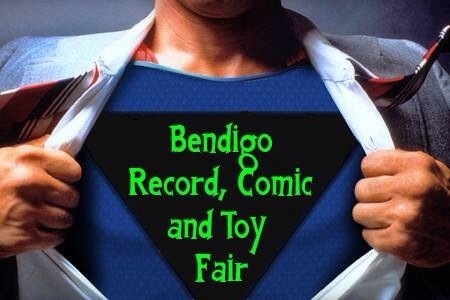 The first Bendigo Record, Comic & Toy Fair for 2017 will be held on March 12th. Bookings are now open, If you’d like a stall, or would like to represent your pop culture association, please book via bendigorctfair@outlook.com and we’ll get the ball rolling for you. Stay Tuned for more news as we get closer to the Fair date. Posted on September 13, 2016 by . 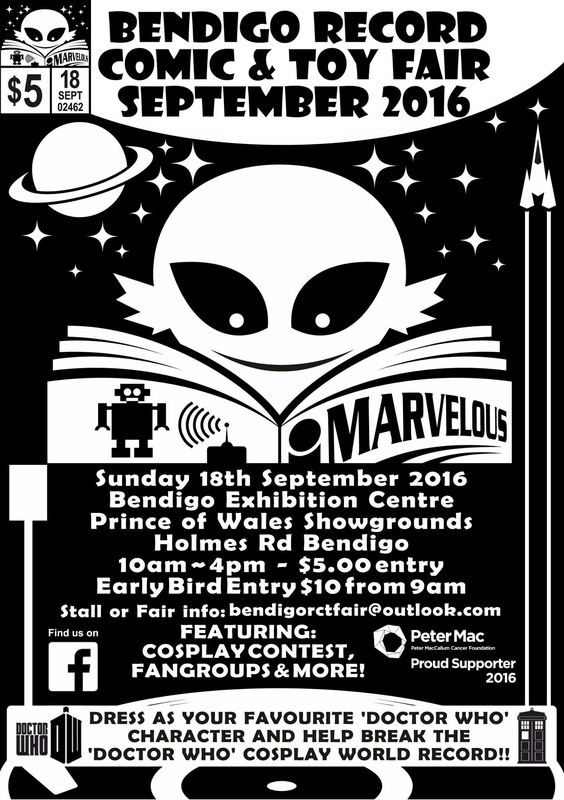 We’re getting close to the next Bendigo Record Comic and Toy Fair! Keep September the 18th free, and head on down to the Bendigo Expo Centre in the Bendigo Showgrounds for the Big Day! There’s a lot of buzz around about our World Record attempt for Most Amount of Doctor Who Cosplayers on the day. If we get 493, we’ve done it! 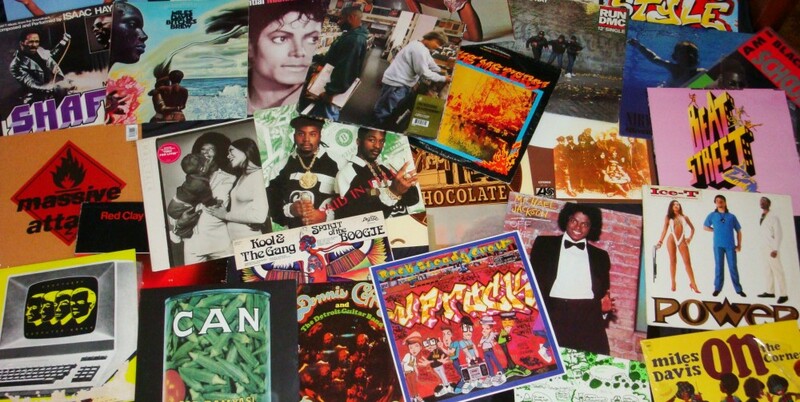 We’ll have many of our regular stall holders returning with thousands of records, comics, toys, retro games, pop culture goodies, and more. The fan groups are back, including the Bendigo Whovian Society. Mascot Mates are back onboard with their Kids Funzone (a perfect place to park the kids while you head off and check out the collectables!). The Cosplay Contest is once again fundraising for the Peter Mac Foundation, and prizes are once again sponsored by Madman Entertainment, Good vs Evil and Hardcopy Entertainment. The Artists Alley will have some special guests! Entry is still a mere $5 for ages 14 and over, with kids under 14 free (accompanied by a paying adult). Entry is from 10am, and the event runs until 4pm. If you’d like to get in early, and have exclusive early-bird access to the deals, entry is from 9am, and costs $10. Posted on May 20, 2016 by . 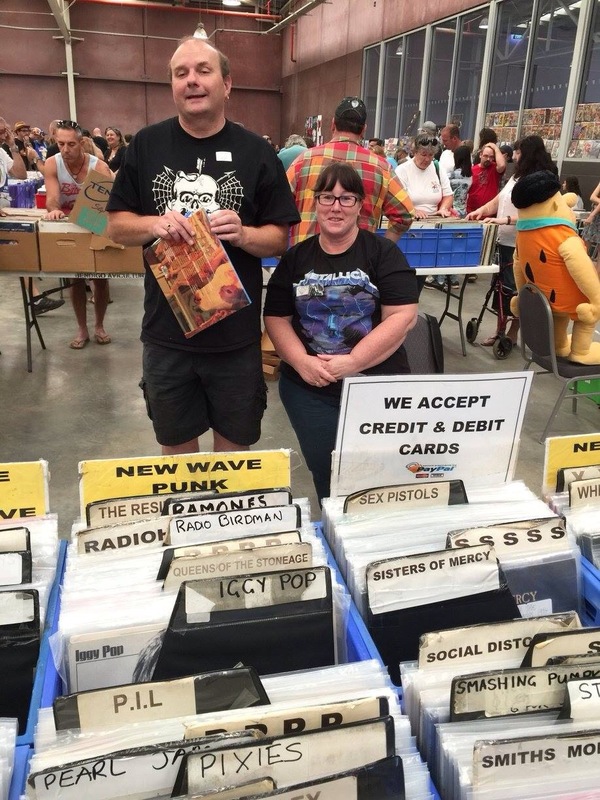 Below is a list of Fair dates that’ve been confirmed so far, there’ll be additional dates added as they’re announced including – Crate Digger Fair, Kew Record Fair, 3PBS & the 3MBS Record Fair. Check the main page of our website for more detailed information about the fairs listed below. Posted on April 29, 2016 by . 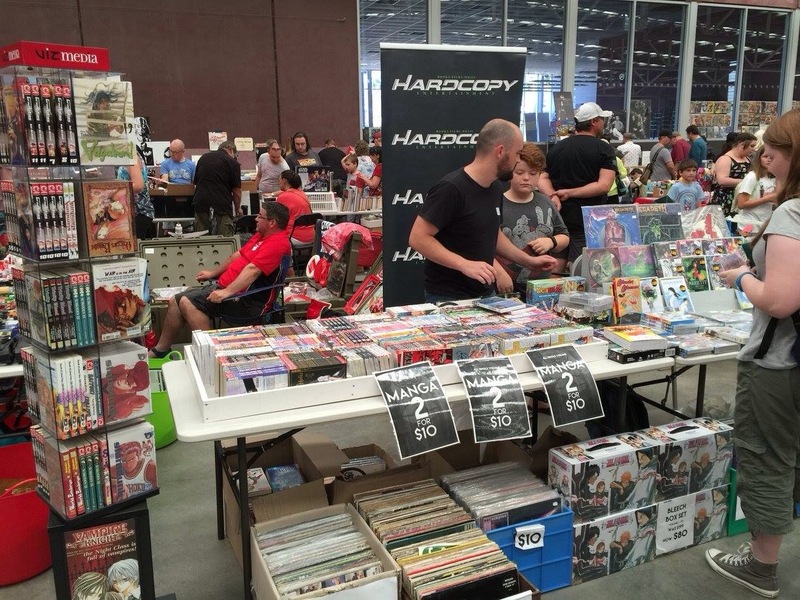 The Bendigo Record, Comic and Toy Fair has been operating since 2014, and is a combination record fair and pop culture convention. 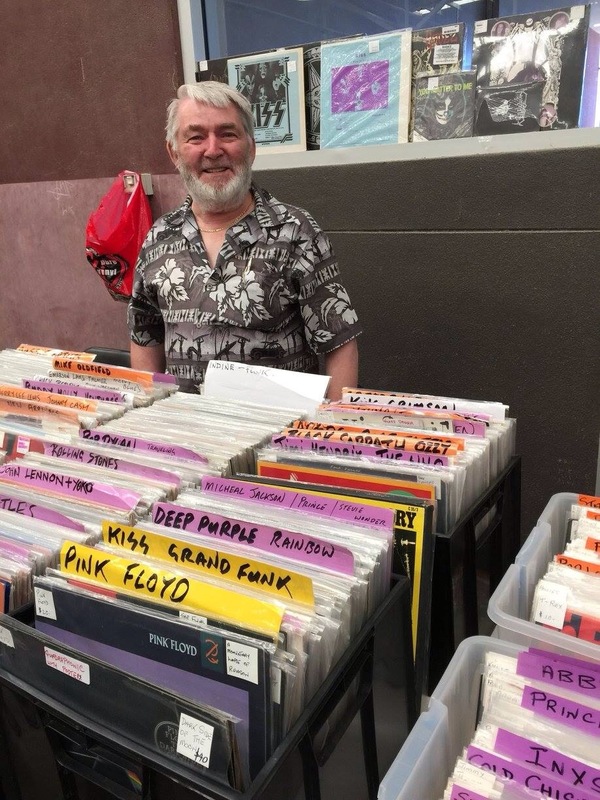 The Fair regularly attracts around 25 – 30 tables of records from local sellers as well as Melbourne and Sydney traders. In addition, the Fair attracts the comic and toy crowd, with back-issue specialists, pop culture stores, pop-culture-related craft and more. The Fair now has a regular Cosplay Contest, a kids Funzone (ideal for parking the kids while the parents scour the collectables!) and fan clubs. There is an irregular Artist’s Alley, featuring original comic book artists and writers. The Fair is growing with every event, and now attracts around 2,000 people with each event. Held every 6 months (March and September, subject to venue availability and event clashes), this one day event takes place at the Bendigo Expo Centre, in the Bendigo Showgrounds, Holmes Road North Bendigo. Entry is $5, kids under the age of 14 accompanies by a paying adult get in for free. Entry is from 10am, with early bird entry from 9am ($10 early bird entry). There’s onsite catering, and the Bendigo Sunday Market is nearby. The building has an ATM machine, very handy for those agonizing decisions! There’s plenty of parking at the front of the showgrounds. Venue Address: Bendigo Expo Centre, in the Bendigo Showgrounds, Holmes Road North Bendigo.